Flex-N-Gate, a top global auto supplier, Monday announced it has opened a new $160-million manufacturing facility on Detroit’s east side. Flex-N-Gate is adding to Detroit’s growing I-94 Industrial Park, an area near Detroit City Airport, that was mostly vacant land and abandoned buildings 10 years ago. The company will supply parts to Ford Motor Co., including exterior trim components, aluminum and steel modular stamped body in white and chassis assemblies, lighting, and other OEM automotive products. “This plant and the benefits it will bring to Detroit and its workforce gives me as much pride as anything I’ve been part of over my many years with Flex-N-Gate,” says Shad Khan, owner and CEO of Flec-N-Gate. 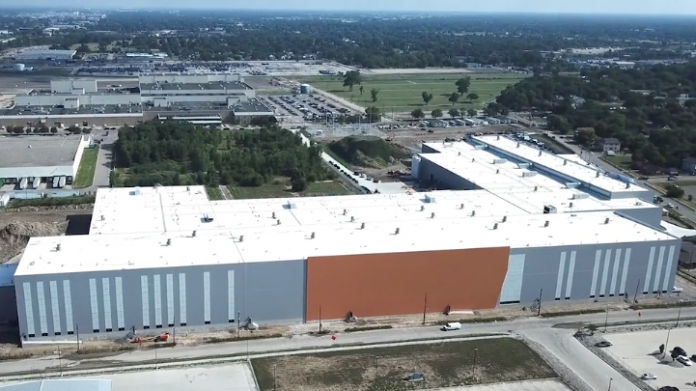 The 480,000-square-foot manufacturing facility is the largest investment by an auto supplier in Detroit in more than 20 years and could employ up to 750 people at full capacity. Detroit residents can still sign up for training through detroitatwork.com or by calling (313) 962-WORK. Production began with a 50-percent Detroit-based workforce of 230 employees. The company will continue to prioritize local hires as production increases. The manufacturer has partnered with Detroit at Work, through which residents can still access training and apply for positions.